The cravat or cravatte is a type of neckband and the predecessor of the modern tailored necktie and bow tie. A small outfit in Robbio has began to supply sartorialists worldwide with classically styled bespoke neckties each handcrafted following the ancient Neapolitan traditions. The owner and chief designer of the Pavia workshop is Gianni Cerruti, a man young in years (not even 30) but whose tastes harken to the golden age of elegance. Together with partner Marta Passaggio, the three year old label has given members of the #menswear community and other style conscious aficionados a sample of that classic era with his handmade neckties. 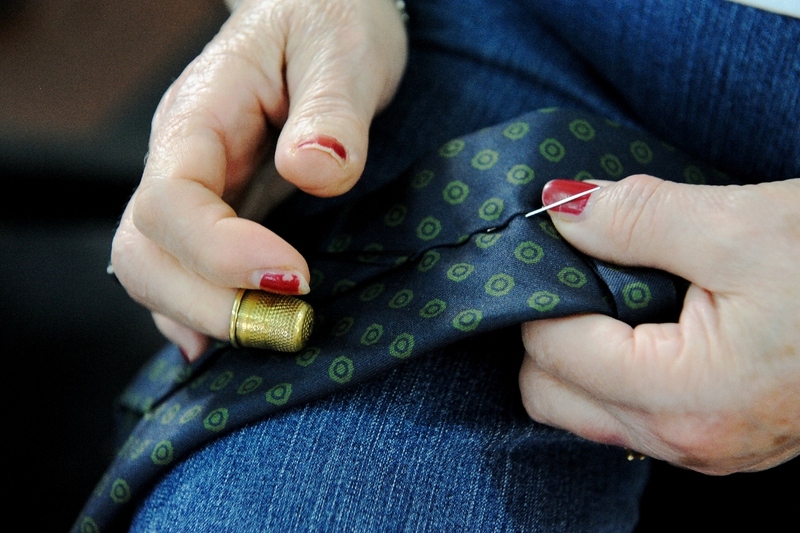 Lovingly handmade by an Italian seamtress who happens to work for bespoke tailors as well. 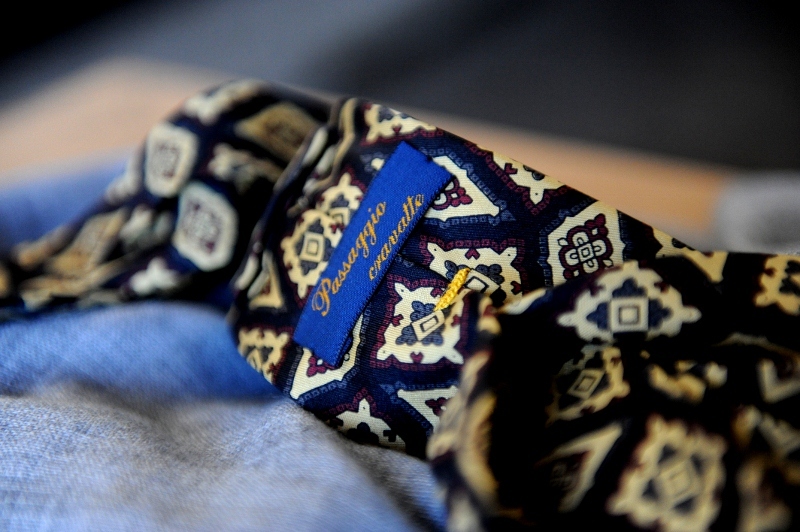 Presently, Passaggio Cravatte is a small beacon of craftsmanship in a sea where even big name brands are mass producing their garments in China- All the ties are made in Italy 100% handmade. Possessing no ready-to-wear cravats, Passagio Cravatte is laudably bespoke and made to order only, using very best vintage silks– the best part is the limited edition nature of each creation as each collection of material only allows for a maximum of 4 ties. What makes Passaggio Cravatte truly fantastic is that they’re the only Italian crafters to present the tradtional 1900s era seven-pleat necktie all internal and hemmed by hand from a single piece of silk. 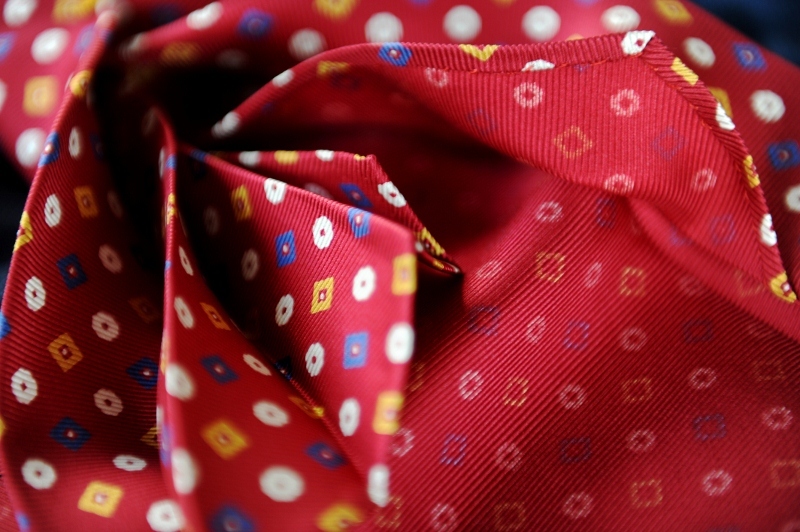 At the lower end of the custom made spectrum, their 4 folds necktie are also cut from one piece of silk- it’s not an easy process and most other cravat makers tend to combine three pieces of silk. In essence, what you have with Passaggio Cravatte is pure artisanship, exclusivity and luxury. 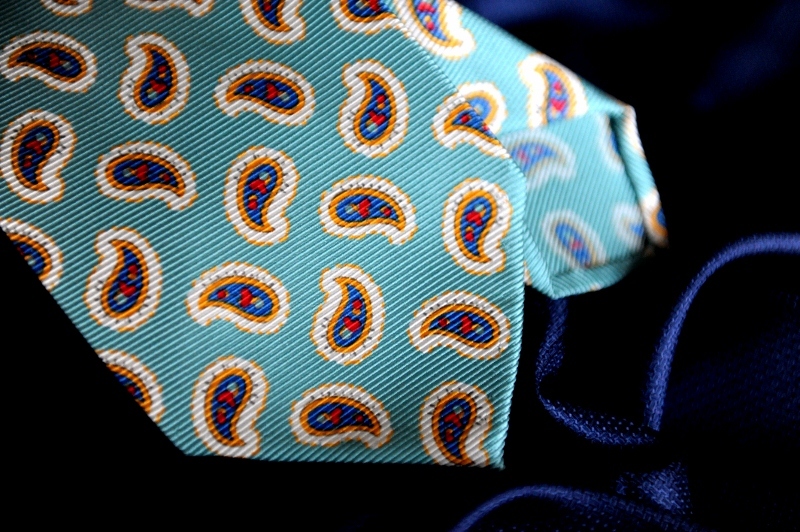 Offering the tie classic, 4 folds, the folds 6 and 7 folds old, their sartorial customers get to choose the fabric, pattern, interior, measurements, color of the joists, opening the folds and even embroidery of initials or a heirloom family crest for a true piece of timeless finery. In fact, Gianni offers the embroidery in decadent 24k gold wire with warranty for craftsmanship. With limited edition runs of only 4 per design (due to size of working material), you can be assured of exclusivity. P.S. While I did include that tie dimple tool as a joke, not knowing how to dimple your tie is no laughing matter. Simply pinch your necktie with thumb and middle finger whilst inserting your index in the centre of the cloth and then pull downwards.